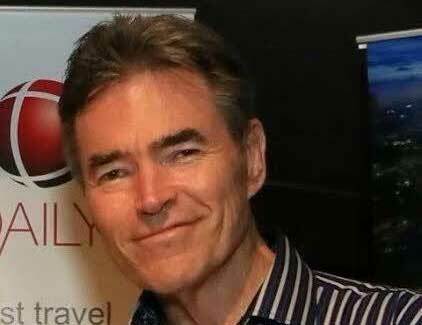 David Booth, Events International’s founder, has built his career on providing world class events, corporate incentive programs and leisure group travel itineraries for very demanding clientele. His innate desire to exceed expectations, and his personal passion for food, wine, music and international travel make him one of the leading experts on the design and execution of successful event, promotion and travel programs. Incorporated in 1987, Events International was amongst the first wave of specialized event organizers who became widely recognized as a provider of services including event management, catering, bar operations, concessions, staffing and promotional marketing. Events International has it’s roots in many of Hawaii’s leading events & festivals including Waikiki Shell concerts, Turtle Bay Resorts ‘Guitars Under The Stars’, Taste of Honolulu, NFL Pro Bowl Week events, street festivals as well as many meeting, incentive, convention and exhibition (MICE) groups. Being raised in a globe trotting family and a background in travel industry led David to develop promotional ‘road shows’ including ‘The Hawaii Experience’ events in Taiwan & Shanghai’ for Hawaii’s Department of Business, Economic Development and Tourism (DBEDT). These events included Hawaii’s top entertainers, fashion shows, celebrity chef’s, a Hawaii Marketplace and business matchmaking for Hawaii’s business delegation interested in developing relationships with Chinese business community. Booth’s travel projects include leisure travel tour programs such as The California Wine Country Experience, group cruise programs on Crystal Cruises and a mix of South East Asia excursions. David travel resume also includes recent corporate incentive group travel experiences in Hawaii, California Wine Country, Las Vegas, New York City and South East Asia. Attention to detail, special access, personal concierge service and David’s relaxed demeanor are mentioned in client letters of appreciation. David’s passion for advocating the best of USA has resulted in David working with select USA businesses to enhance their presence in the Asia Pacific region. David lives in rotation between Hawaii, Northern California & Asia and continues to bring a wealth of knowledge and experience to every client with innovative events and managed programs on land and at sea.